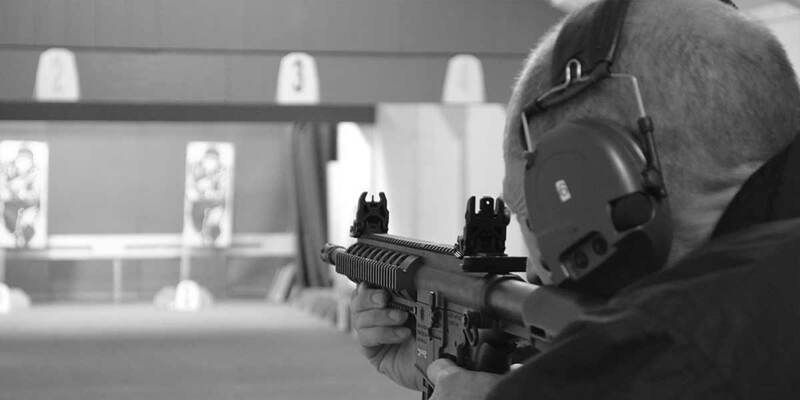 Shooting Training Solutions courses are open to anyone, whether you are a keen enthusiast, a beginner, aspiring actor or would like to learn more about firearms. We have trained people as far a field as Australia, Cayman Islands, Japan, India, Bangladesh and the Netherlands. The training is conducted in a warm and inviting location under the watchful eye of a very experienced trainer. Shooting Training Solutions will make your experience enjoyable, fun filled and memorable. MK “Nobby” Director of Shooting Training Solutions is the sole instructor on the firearms training courses run by Shooting Training Solutions. Mark has some 33 years of military service in UK Special Forces and the Royal Marines. Shooting Training Solutions continues to improve training standards. Shooting Training Solutions are proud to have been awarded ISO 9001:2015 quality standard. We now continue to improve training standards so clients go away feeling confident, safe and competent. Shooting Training Solutions was the first and only firearms training establishment to have been awarded this most exacting of quality standards and led the way in quality training. STS commitment to safety and quality has been a constant feature of STS training and we are continuing to implement better standards and quality control for the courses we run. STS continually monitor and manage quality across our business and identify and implement improvements. STS commitment to these quality standards is proof to both our private customers and corporate clients that they can have absolute confidence in the safety and effectiveness of the courses that we deliver. You are a valued client and it is hoped that you will acknowledge that Shooting Training Solutions continues to represent the best firearms training in the UK today. As an established training provider Shooting Training Solutions hope it shows to you, our valued customers, we are constantly improving, updating and giving to you the best training we can supply. This Ultimate Special Forces European Experience package is unique and has an all-inclusive price, your every need will be catered for. It is open to anyone regardless to firearms experience. Your host and instructor is a a former Special Boat Service Operative MK (Nobby) Director of Shooting Training Solutions who will arrange everything and accompany you for the whole experience in Europe. It is open to individuals who would like a one to one experience or a group of up to 4 participants. 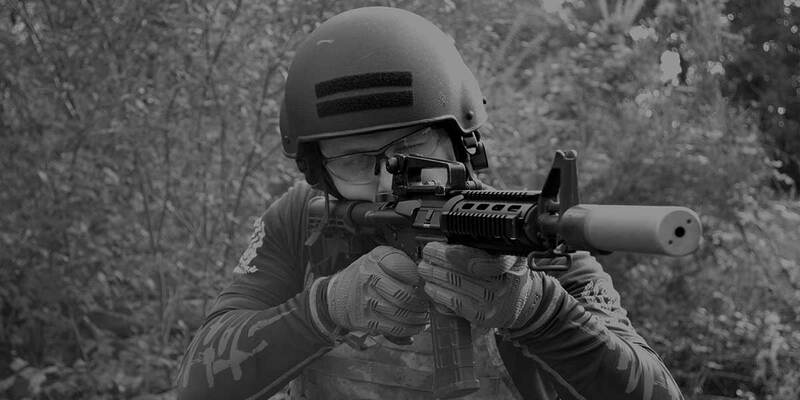 You have a number of options open to you either a 1-day live firing (3 days in total option) 2-day live firing (4 days in total option) or a 3-day live firing (5 days in total option) experience learning how to safely use AK74's, M4's, Scorpian machine guns, H&K MP5's and pistols. If this is what you are looking for and you want to learn in a safe and welcoming environment give me a ring and I will arrange everything for you. If you would like a course arranged please contact us. Are you looking for an insight into the Special Forces and want to experience handling and firing weapon systems used in a safe and welcoming atmosphere? This is the experience for you then. Based in the UK, this one day Special Forces Experience is designed for individuals or up to 4 participants. You will taught the safety aspects and marksmanship principles before getting your hands on AK74's, M16's. You will be taught how to safely handle them, strip and assemble and carry out the correct drills when operating them, before live firing later in the day. The day will be hosted and run by MK (Nobby) Director of Shooting Training Solutions who will give you an insight to his 33 years career in the Special Forces and be your instructor throughout. Your dedicated instructor will create a package to suit your individual objectives either as part of a small group (no more than 4 people) or on a one to one training basis with exclusive range use. You will learn from scratch all about the safety side of handling these weapons, understand how they work and function before getting in depth training on the drills and skills you need to operate them correctly and safely. It will be challaging, fun, exhilarating and rewarding and you will go away feeling you want more. If this is what you are after, drop me an e-mail or give me a call and I will be happy to take up the challenge. For those of you who are unaware of the UK Firearms regulations you cannot fire 9mm pistols in the UK. STS offer two packages where you can learn all about Pistol handling and become proficient and safe with the weapons. The first is a one-day course based in the UK and is designed to develop the skills of those who wish to learn how to use a pistol as a primary firearm. We cover all the safety aspects, workings of the weapon, function tests and correct grip and hold before shooting on a range with high powered BB Glock 17 and SIG 226 pistols out to 15M. This will give you a good insight to all pistol techniques and a platform to build on. 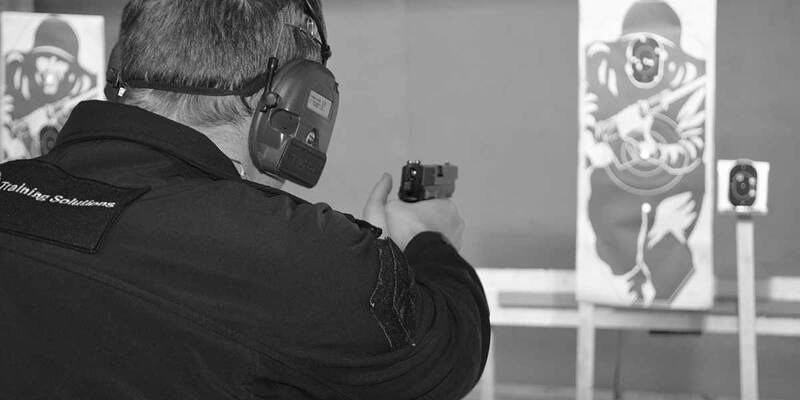 The second course we offer is a three or five-day full-bore 9mm pistol shooting course in Europe. I will arrange to take you either individually or as a group to Europe on an all-inclusive trip. The participants will have sole occupancy of a range to undertake this course with an array of pistols and myself instructing you for the whole duration. You will travel down to the south coast the night before stay in a hotel with dinner and breakfast. Next day having been met, you will be taken to the airport car park to secure your vehicle. After checking in we will proceed to the priority lounge and relax. On arrival you will be taken to a five bedroom house where all your meals, drinks and needs will be met. Pistol shooting is an art on its own. It takes time and effort to be able to engage targets out to 50M using the correct techniques with both your strong and weak arm. One handed pistol is essential and has to be practiced. You will practice these skills and this will reduce your reaction time, allow you to shoot faster with a higher degree of accuracy and increase your confidence with your weapon. I will endevor to get you to the ACPO (Association of Chief Police Officers) pistol firearms standard with the time allocated and show you that with good instruction and coaching you can in a very short time become proficient safe and accurate with a pistol. Contact us to arrange a course. He will host and take you through your unique and fun filled Corporate Firearms day. This course has grown in popularity since its introduction by STS for potential Police firearms officers to attend before they undertake their Police firearms course. Here at STS we are proud of our very high pass rate from clients who have attended our course and continued on to aspire to be police firearms officers. Each course will be designed specifically for you as different Police forces use different firearms. It will give you the confidence and reassurance that you will be able to handle the firearms safely and correctly, allowing you to concentrate on the other aspects of the course you have to assimilate. This course teaches and brings security contractors up to date with the weapon systems that are currently being used within this industry. It also supplies a certificate to confirm you are safe and competent with weapons to gain contracts you are actively searching. This 2-day course is designed in order to obtain the above. The course will teach safe competent drills with an easy to understand teach philosophy that will give you confidence and ability with any weapon after completing the course. Most Police forces today require you to demonstrate you are safe and competent before issuing a firearms license or renewing one. STS Firearms Competency Course and certificate are recognised by a number of Police forces in the UK. 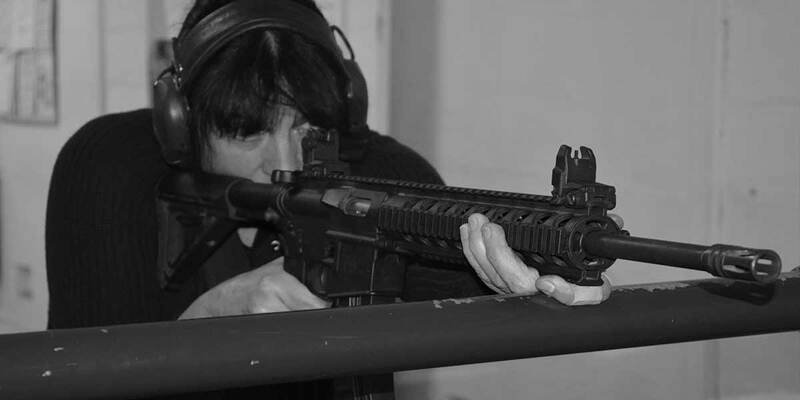 The aim of this course is to introduce new clients to firearms and to refresh those who may be returning to the sport to ensure a level of competence. This one-day course aims to take clients through the relevant safe handling and safe shooting requirements to meet the standards relating to public safety and the Police. The one day course combines a training room based input with practical experience on the range with various weapon systems. Over the years we have worked with a large number of individuals who are renewing or trying to obtain a firearms license and all of them have returned home after the course better informed, safer and more knowledgeable about all aspects of firearms handling. This course is open to anyone who has successfully completed any Maritime Firearms Competency Course. This one day course is specifically designed for the Maritime security industry in accordance with ISO/PAS 28007, SCEG Industry best practice guidelines 4:44 & 4:45 which state that refresher training should be carried out at least once per year. Firearms training is a skill, If you do not use it, you loose it. 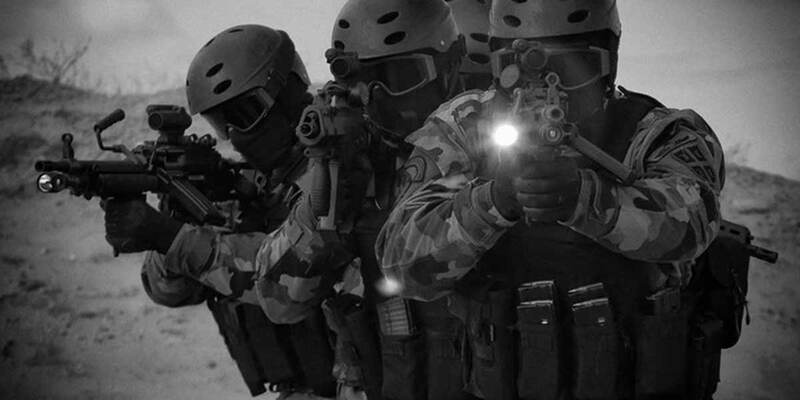 You will be instructed by an ex UK Special Forces operative with a vast array of experience in the security industry. If you are in two minds which company to choose for your training, look at the independent Security Adviser web site below and see what people say about our courses. With an ultra competitive price, maximum time on the weapons, no more than 4 participants on each course and lunch and refreshments included look no further. 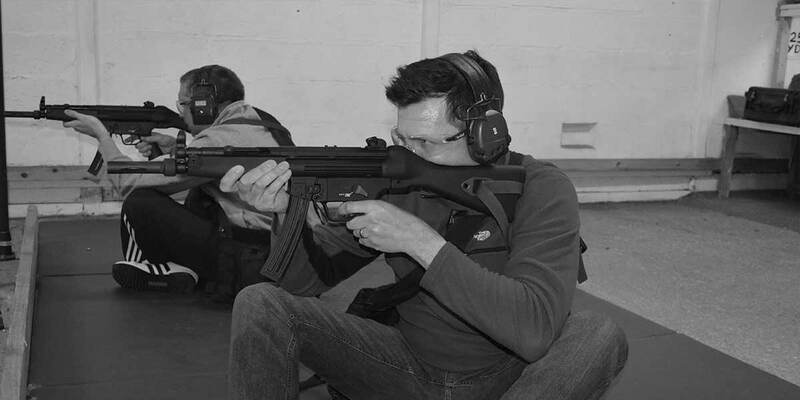 All live firing training is conducted in .22 Rimfire Semi-Automatic Rifles or simulated Pistols due to UK legislation. Shooting Training Solutions © 2011 - 2019. All rights reserved. Designed and Built by iKudos.